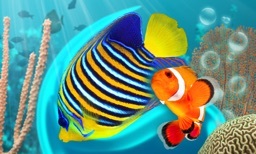 Here is another virtual aquarium with realistic fish movements and scenery that you can customize to your liking. You can create up to three separate tanks each with different decorations and fish, and you can tap on the glass to annoy your fish. Lights can be turned on or off to put your fish to sleep, and you have plenty of other options like setting the accelerometer, a help screen, and lots of menus. 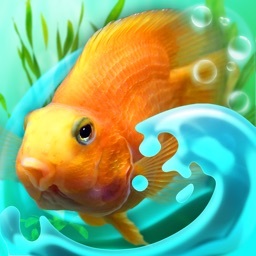 3D Aquarium is an incredibly realistic and compelling aquarium simulation. There were never more accurate and authentic fishes on an iPhone. You are about to watch a beautiful round aquarium. The camera can be rotated by 360 degrees using either accelerometer or touchscreen. In auto camera mode, the camera zooms and rotates randomly. The aquarium is fully customizable - the fishes, substrate, background, seaweed and other items. Apart from fishes you may add another creature to your aquarium - a fully animated and interacting crab. You can create up to three aquariums and easily choose between them for viewing. 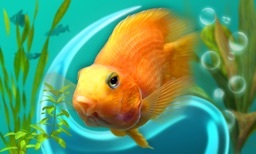 Depending on your choice, tapping the screen either simulates a knocking on the pane or it creates a food particle to feed your fish. It is real fun to chase away the fishes using the knocking feature, especially in combination with the accelerometer control. You can send your fishes to sleep by turning off the lights. The controls are easy to understand. Tap the left or right side of the screen to open the menus. At the right menu, you can activate the tap actions knock or feed, start the auto camera mode, and turn the lights on or off. The left menu contains the setup screens and a button to swap to the next aquarium. On the first page in the aquarium configuration, you can select substrate and background. Depending on your choice, the background remains fixed or rotates with the view. 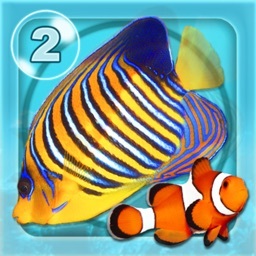 The second page allows you to place static items in your aquarium. Select one item, drag it to some position you want and drop it there. If the crosshair is colored red, there is a collision with other items; so you have to alter the dropping position. A selected item can be rotated by pressing the respective button. Already placed items can be moved using the touchscreen. To delete an item, simply drag it to the trash symbol. In the fish configuration screen, you can choose fishes and drag them to the slots. To remove a fish, drag it to the trash symbol. You may create an automatic fish setup and add the crab by pressing the respective buttons. The miscellaneous configuration screen allows you to setup the sound and accelerometer options and whether a help screen should be displayed after starting the application. IMPORTANT: After installation you may have to restart the iPhone/iPod to get the application working properly. 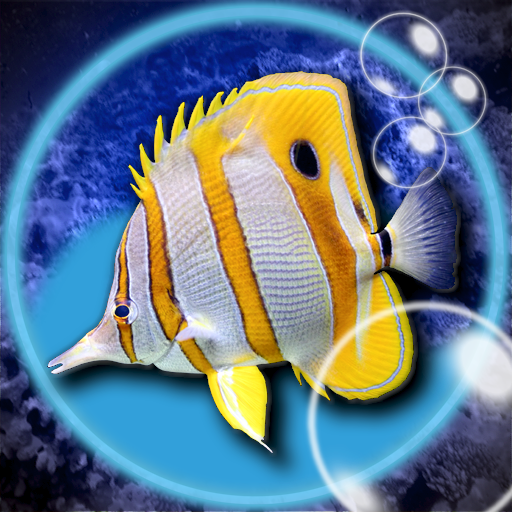 Please check out our other application MyReef 3D.